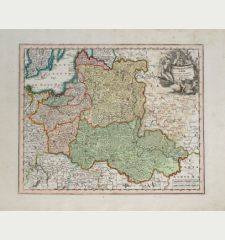 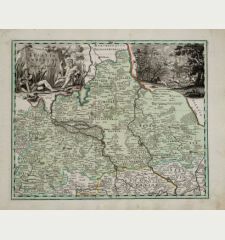 A highly decorative carte à figures of Poland from John Speed's Prospect of the most famous parts of the world, the first World Atlas published by an Englishman. 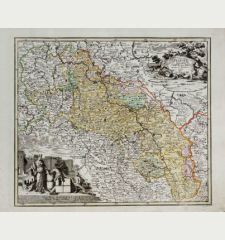 With side panels depicting costumes of Polish men and women and coat of arms of Poland and Silesia to the left and right. 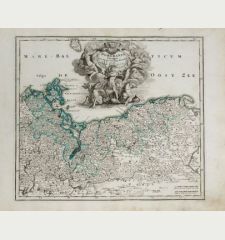 Six city views along the top border showing Krakow, Gdansk, Poznan, Krosno, Sandomierz and Wroclaw, centred by a portrait. 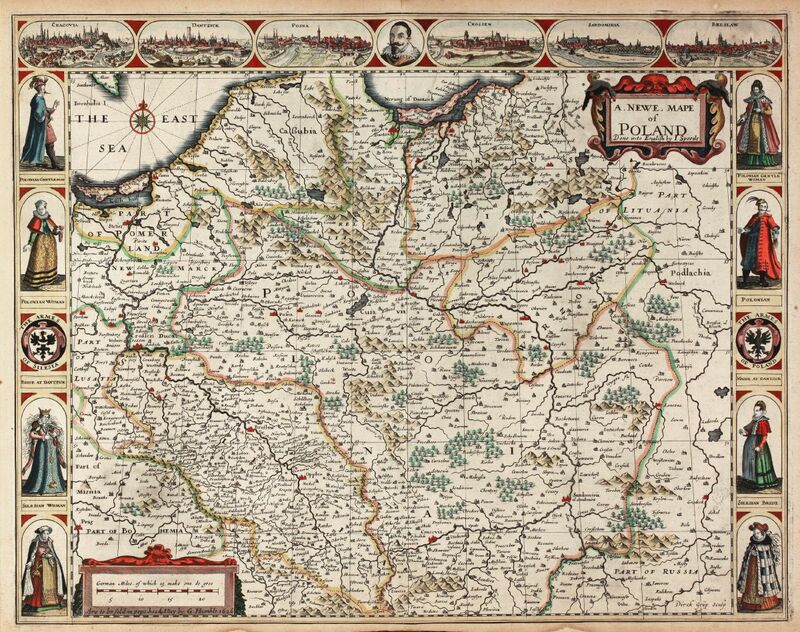 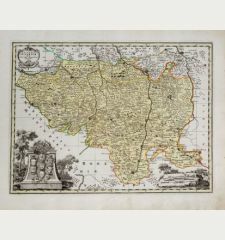 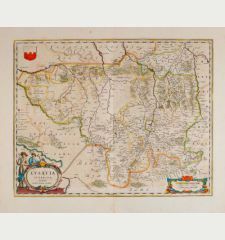 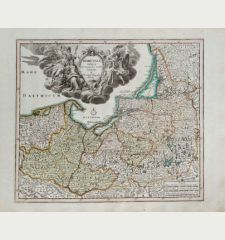 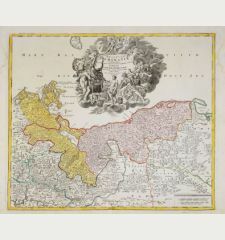 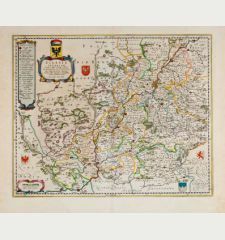 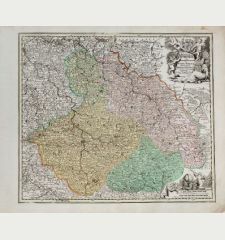 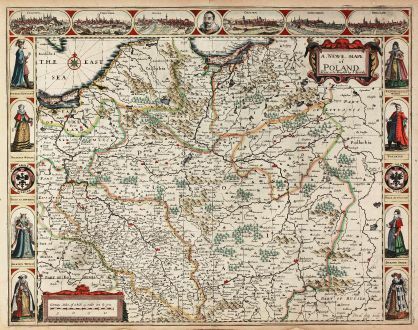 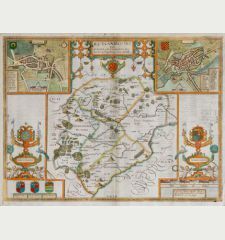 One of the most decorative and sought after maps of Poland. 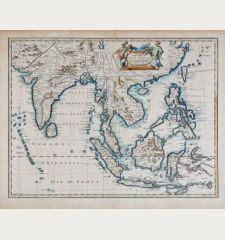 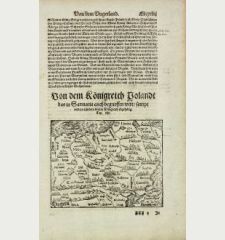 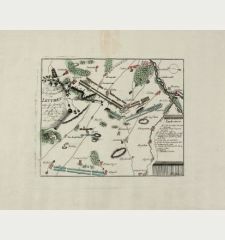 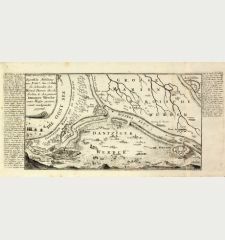 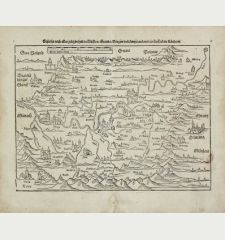 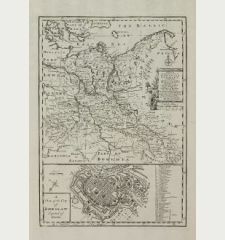 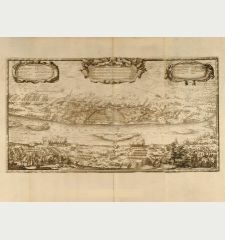 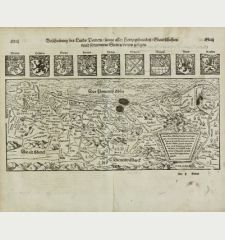 English text on verso provides a 17th Century description of Poland. 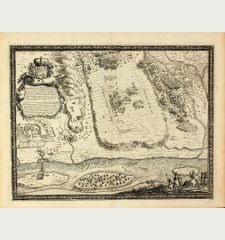 From the early 1627 edition of George Humble. 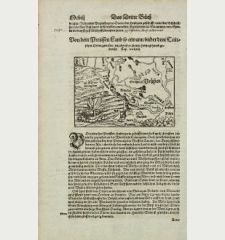 Minor defects in margin backed, not affecting the image. 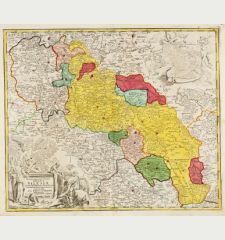 Excellent, in beautiful colours. 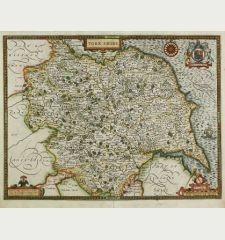 John Speed: A Newe Mape of Poland Done into English by I. Speede.